If you regularly consume bread at home, then it is highly likely that you have at least considered baking your own loaves at home. The problem is that there is a lot of work that goes into baking your own bread and it is quite time consuming. Most of us simply don’t have the time to dedicate to mixing, kneading, proving and baking. If this sounds familiar to you, then you have probably decided that it is just simpler and easier to buy your loaves of bread from the supermarket. However, what you might not have considered is that there is a much better option in the form of the bread maker. These machines allow you to create a variety of loaves from scratch without the hassle of the traditional bread making method. If you have decided that you are going to buy a bread maker, then it is a good idea to make sure that you know the best way to use them. By doing this, you can make sure that you are going to get the best results. Here are a few tips that will help you to get the most from your bread making machine. Before you can choose a bread maker to buy, you need to make sure that you have done a considerable amount of research into the different models on the market and what they can offer you in terms of features. For example, if you want to be able to bake your bread overnight then you will want to make sure that you choose a model that has a delay timer. This will allow you to bake overnight and wake up to a fresh loaf. 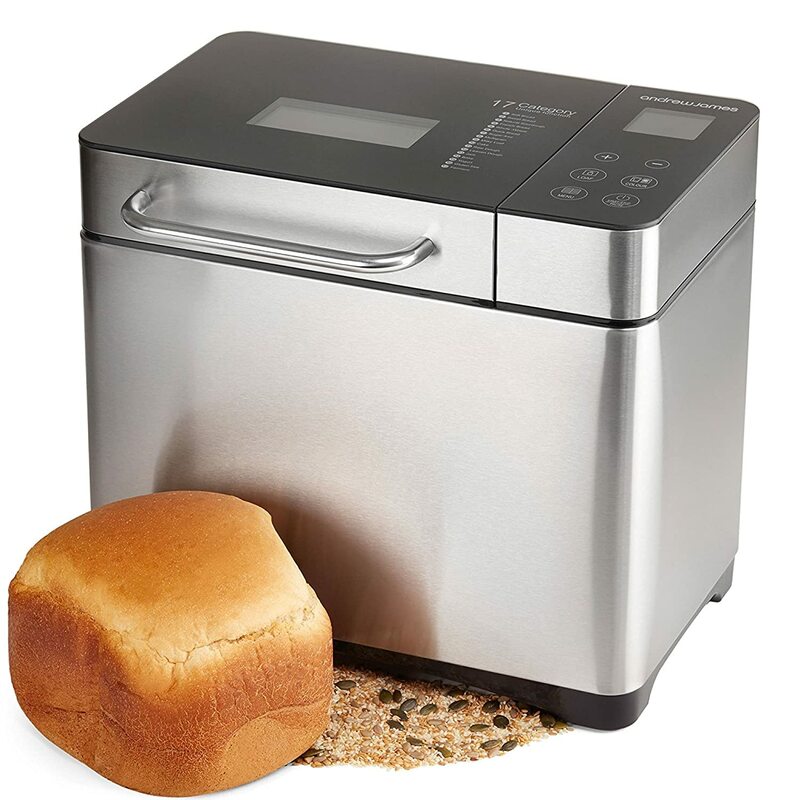 If you suffer from a gluten intolerance then you will want to choose a bread maker that has a gluten free setting so that you can still enjoy bread without the worry that you will make yourself ill. There are plenty of really helpful reviews online that will talk you through all of the different options on the market at the moment and help you to choose between them so that you can make sure that you have the best bread maker for you personally. Although there isn’t really a rule against using packet mixtures in a bread machine, more often than not the results are not as good as they would be if you used fresh ingredients. If you are going to be using a bread making machine then it is generally a much better idea to use fresh ingredients and follow the recipe that each mode offers. By doing this, you can make sure that you get the best results possible and a great tasting loaf every time. This is such a common mistake when baking bread in general, not just using a bread making machine. It is very easy to think that your dough mixture is too dry or too wet and end up adding too much or too little water. The best way to avoid this happening is to make sure that you follow the recipe in your manual to the letter. This will allow you to make sure that there are no errors in your recipe so you don’t end up wasting ingredients and ruining your loaf. If you have a fairly good quality bread maker then it will have a number of different settings including gluten free, sourdough, rye bread, brown bread and more. If you are planning on making anything other than a standard white loaf then you will need to make sure that you are using the right setting. If you don’t then you are going to end up with a loaf that you are not satisfied with. Take a look through your user manual properly because then you can make sure that you are using the right setting and the right ingredients. This is, by far, the most important thing that you can do if you want to make sure that you are using your bread maker properly. Each brand is different, so you will need to make sure that you have taken the time to learn as much about it as you possibly can. To start with, it is a good idea to thoroughly read through your user manual. This will take you through all of the different baking modes and settings that your machine has to offer. Another good idea is to read reviews online so that you can make sure that you are aware of any potential issues that you might encounter with your bread maker. As long as you follow these tips then you should be well on your way to making delicious home made bread at home! Spin Bikes Vs Exercise Bikes – Whats The Best For Weight Loss?